After two lacklustre semi-finals, the showdown in the Australian Open final between the two top-ranked men's players was billed as an instant classic. Tennis fans were expecting to sit down and watch a gruelling contest between two absolute warriors just like the one they put on back in 2012. Sunday night was supposed to be equivalent of Muhammad Ali taking on George Foreman. Instead, it looked more like Sonny Bill Williams fighting Australian Bachelorette winner Stu Laundy. Novak Djokovic showed why he has such a firm grip on the No. 1 ranking by completely obliterating Rafael Nadal, winning 6-3 6-2 6-3. The sheer brutality of the opening set had to be seen to be believed with Djokovic only losing one point off his own serve. It came 33 minutes into the match at 5-3 when he hit a groundstroke into the net. 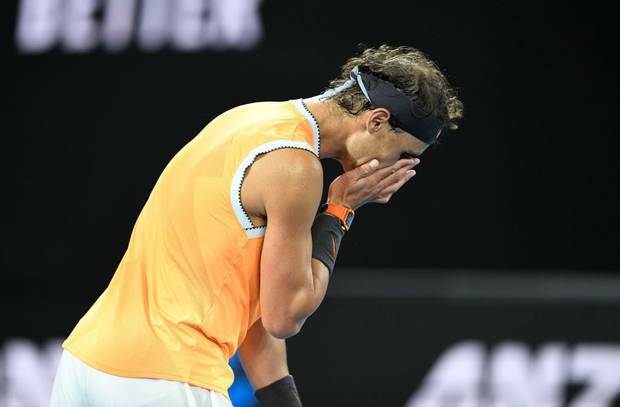 Australian tennis legend Pat Cash summed up the opening set by proclaiming a "nervous" Nadal had reverted to playing a style that night work on his favoured clay, but doesn't cut it on the hardcourt of Rod Laver Arena. "A combination of Djokovic coming out playing incredible and Nadal being a little nervous," Cash tweeted. "Rafa reverted to playing clay court tennis because he's not confident. It's not going to work when Novak is playing this well." Things didn't get any better for Nadal as Djokovic strolled away with the straight sets victory in a little over two hours. The massacre was perfectly summed up in the opening set when Nadal had an unbelievable air swing when attempting a forehand. It looked like his racquet hit his knee on the way through, missing the ball completely. The moment left fans utterly speechless as many proclaimed the final had simply proved too much for the Spanish Bull. Commentator Lleyton Hewitt said he couldn't recall ever seeing Nadal make such an extraordinary blooper. An AIR SWING? I’ve seen it all. When was the last time you saw Nadal miss a forehand like that! The world reacting to that incredible Rafa Nadal air swing is how a 30-plus year old increasingly reacts to each subsequent #Hottest100. Fans couldn't believe what they were seeing as Nadal simply had no answers for the Serbian. Nadal had blitzed his way through the two weeks of the tournament, not dropping a single set at Melbourne Park before Sunday night. As soon as the final got underway it was clear this was a completely different beast he was dealing with. 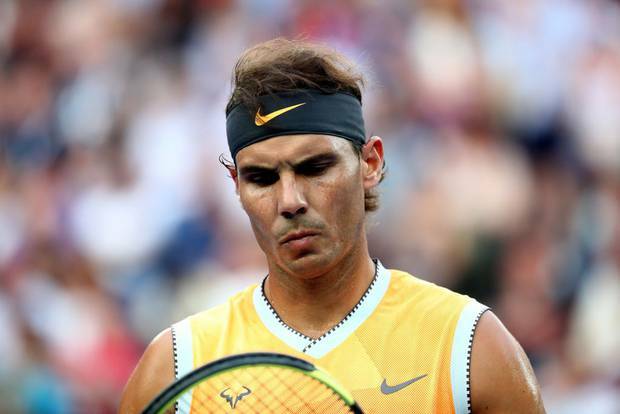 The loss makes it the first time in Nadal's historic career he has lost a grand slam final in straight sets. Can’t remember seeing Nadal dominated this much. Of course, while there was plenty of surprise over the showing from Nadal, there was just as much love and admiration for the masterclass put on by Djokovic. 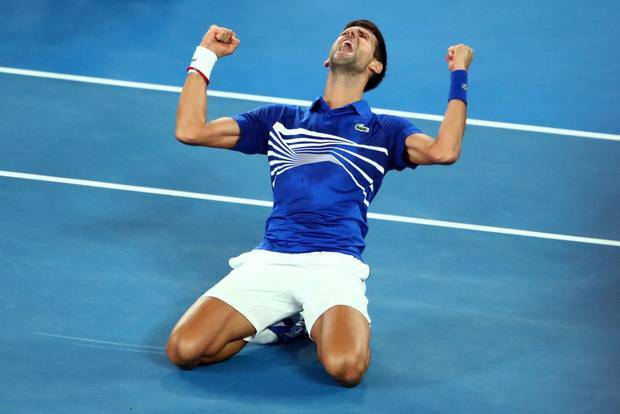 The win gives Djokovic a record seventh Australian Open crown and moves him into outright third on the list of grand slam winners with 15 major titles — going ahead of American legend Pete Sampras. Djokovic turned back the clock and looked as good as he ever has in a final as he simply manhandled his longtime rival. Has to be one of the best Djokovic performances I've ever seen. Clinical and devastating. Destroying one of the all-time greats. After Petra Kvitova showed on Saturday how to be gracious in defeat, Nadal did the same by heaping praise on Djokovic. The Spanish master was as classy as ever during his runner up speech as he vowed to come back and become an even better player as he continues his return from injury. "It was an amazing level of tennis tonight and during both weeks (from Djokovic)," Nadal said. "Talking about myself, it has been a very emotional two weeks. Even if tonight wasn't my best day, of course I had somebody that played much better than me tonight. "It has been a very important two weeks for me, I have been going through tough moments during the last year … since the US Open I was not able to play a professional match until the first round of the Australian Open. "Even if tonight was not my night, it is so important to be where I am today again coming back from injury. "I really believed that I played a great two weeks of tennis, that's going to be a good energy, a good inspiration for myself for what's coming. The king of Melbourne Park choked back tears after claiming another Australian Open crown. He praised his opponent and reflected on the past 12 months after coming back from surgery early in 2018. "I would like to return the favour and obviously give compliments to Rafa's couple of weeks," Djokovic said. "Obviously a tough match tonight, but as you said, you came back from an injury that took you out from the tour since September last year and you were unfortunate throughout your career to go through some major injuries. "But you're showing to me and to all your other colleagues and many young tennis players around the world what is the definition of the fighting spirit and resilience, so thank you for that." He had to compose himself as he reflected on what he's achieved in the past year, winning Wimbledon, the US Open and now the Australian Open. "Sorry, I'm just trying to contemplate on the journey in the past 12 months," he said. "I had the surgery exactly 12 months ago and being able to stand in front of you today and managing to win this title and three of the four slams is truly amazing. I'm speechless. "I would like to thank my team for supporting me obviously. It is an individual sport but you guys are always behind me. "You guys are tolerating me on my bad days. You are putting together great successful formula that is working."